We’d love your help. Let us know what’s wrong with this preview of Tri-Pizza-Tops by Judge Kludge. When Clara and Zeke attempt to hatch their rare dinosaur egg and finally prove the existence of Kittysaurus, they must once again face the machinations of the ruthless trillionaire, Myles Vulture. They soon learn that their only hope of unraveling the secret to hatching the egg will require another trip 145 million years in the past to a lost period of prehistory called the When Clara and Zeke attempt to hatch their rare dinosaur egg and finally prove the existence of Kittysaurus, they must once again face the machinations of the ruthless trillionaire, Myles Vulture. They soon learn that their only hope of unraveling the secret to hatching the egg will require another trip 145 million years in the past to a lost period of prehistory called the Zanyzoic where every moment is fraught with peril. Their chances grow slimmer once they discover mysterious creatures plotting against their mission… and the future evolution of humanity. To ask other readers questions about Tri-Pizza-Tops, please sign up. Things are mysteriously disappearing in Clara’s neighborhood, but clearly she has more important matters on her mind. Who knew how much work it was to hatch an egg? Clara and Zeke are trying in earnest to hatch their Kittysaurus egg, but things aren’t going so well. Clara decides they need to go to the experts, namely a Kittysaurus Rex back in the Zanyzoic era. Their trusty merry-go-round takes them back, but soon they find themselves smack in the middle of a desperate life or death game of cat Things are mysteriously disappearing in Clara’s neighborhood, but clearly she has more important matters on her mind. Who knew how much work it was to hatch an egg? Clara and Zeke are trying in earnest to hatch their Kittysaurus egg, but things aren’t going so well. Clara decides they need to go to the experts, namely a Kittysaurus Rex back in the Zanyzoic era. Their trusty merry-go-round takes them back, but soon they find themselves smack in the middle of a desperate life or death game of cat and mouse until the smell of cheese distracts the Momma Kittysaurus. Who knew the Tri-Pizza-Tops was a challenging enemy to the Kittysaurus? Time to go home, but…someone is plotting against them and that someone may hold more answers than anyone could imagine…including how will Clara and Zeke get home? The plot thickens in TRI-PIZZA-TOPS! Judge Kludge has another brilliant tale that unleashes even more excitement, fantasy and imagination for younger readers on up! Let your child’s mind run free through time travel, the mystery of dinosaurs and the adventures of two plucky kids who make anything seem possible! I received this copy from Judge Kludge in exchange for my honest review. My kids enjoyed this and want to read the next one. This is the second book in the Kittysaurus series. It is the story of 2 children, Clara and Zeke, who want to be paleontologists. In this book, they are trying to figure out how to hatch the Kittysaurus egg they found in the first book. They travel back to the zanyzoic time to see if they can spy on Kittysaurus to see how she hatches her egg. They meet up with Cynodonts (the first mammals) who have some secrets about time-traveling of their own. Will they find out how to hatch the egg? Will Mile This is the second book in the Kittysaurus series. It is the story of 2 children, Clara and Zeke, who want to be paleontologists. In this book, they are trying to figure out how to hatch the Kittysaurus egg they found in the first book. They travel back to the zanyzoic time to see if they can spy on Kittysaurus to see how she hatches her egg. They meet up with Cynodonts (the first mammals) who have some secrets about time-traveling of their own. Will they find out how to hatch the egg? Will Miles Vulture find out about the time-traveling? Will they get eaten by Kittysaurus? This book is a children's adventure story, and while it contains some relevant facts, it is a fantasy adventure series. Clara and Zeke take risks that children of that age would not in real life. These two are quite smart and are able to outsmart the adults in many cases that would entertain the reader. There is a bit of an antagonistic relationship at times, but I liked that they both realized that they wanted to be together. I did not like this book as much as the first one, perhaps it was the ending. It ends in a cliff-hanger, which is not the problem, but that it just ends rather quickly. The other thing that I wish the book had were illustrations. Considering the age group this book is aimed it, illustrations would add a lot to the story and help to maintain interest. The author generously provided me with a copy of this book via Netgalley. Like the first in the series, this is a fantastic book, which combines real dinosaur related facts with a very imaginative and exciting story. 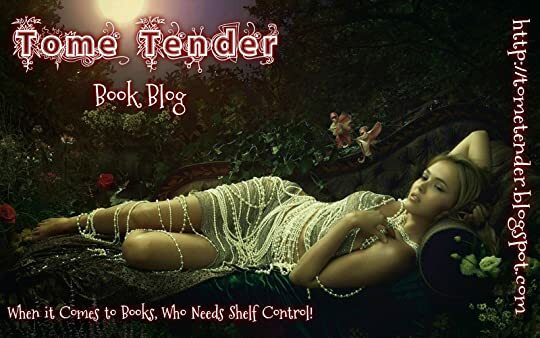 The plot is extremely creative, while still being thought out well enough to be believable, and the characters are likable and easy to relate to. There's more obvious fiction and less potential fact in this one than in the first, but that doesn't spoil it. Actually, it makes it a fun read where you're always wondering what will happen next. The only reaso Like the first in the series, this is a fantastic book, which combines real dinosaur related facts with a very imaginative and exciting story. The plot is extremely creative, while still being thought out well enough to be believable, and the characters are likable and easy to relate to. There's more obvious fiction and less potential fact in this one than in the first, but that doesn't spoil it. Actually, it makes it a fun read where you're always wondering what will happen next. The only reason this one doesn't get the full five stars that book one got, is because the ending was too sudden; I hate cliffhanger endings. 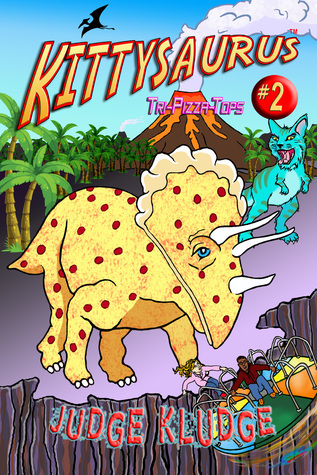 An amazing imagination created Tri-Pizza-Tops, the second book in the Kittysaurus series. Clara and Zeke are determined to prove that Kittysaurus existed. They travel back in time to get pointers on how to hatch their dinosaur egg. The clue they need is found, they discover a really cool new dinosaur and solve the mystery of the disappearance of their friends toys. But, will they be able to return? I enjoyed the continuation of Kitysaurus with Clara and Zeke. I am looking forward to seeing where their crazy adventures take them next! I reviewed and loved Kittysaurus 1 so I was definitely looking forward to reading this book. I admit that I was a bit worried, (as I get with all series books), that with such a strong start book two would be a disappointment. I am very happy to say that things I had loved about book one were not lost and Tri-Pizza-Tops was just as entertaining as the first book. Clara and Zeke are back as is the villain. Clara and Zeke are best friends who have grand adventures learning to deal with arguments a I reviewed and loved Kittysaurus 1 so I was definitely looking forward to reading this book. I admit that I was a bit worried, (as I get with all series books), that with such a strong start book two would be a disappointment. I am very happy to say that things I had loved about book one were not lost and Tri-Pizza-Tops was just as entertaining as the first book. Clara and Zeke are back as is the villain. Clara and Zeke are best friends who have grand adventures learning to deal with arguments and make compromises. Clara opens up the world a little bit by confirming that girls can have interests in science, history and dinosaurs, be intelligent and proud of it, and be a normal kid. The adventures are highly imaginative and thrilling with time travel which we found to be delightful! I absolutely love sharing books that fire the children's imagination. This book definitely did that. In this book, Clara and Zeke return to the Zanyzoic period and find more new creatures during their quest to hatch the Kittysaurus egg. Overall, I enjoy the characters because they are smart and have great problem solving abilities. I look forward to the next book in this series, and to seeing how the kids find their way back home. I got this free to read and possibly review, but I review everything I read. They are cute without being cutesy, and will be looking in to getting the more of this type for my grandson because he would so luv them. They have sections, easy to keep up with by younger ones, and interesting enough, too. Lovely not just for kids story. A continuation of Clara & Zeke's adventure through cheesy smells and saucy spills! Read this series. Out loud, to your kids. Don't hoard it for yourself!! Clara and Zeke are back and as fun as ever. Best read after book one (Kittysaurus Rex), Tri-Pizza-Tops is another wonderful adventure that both children and adults will adore. We find Clara and Zeke as they continue their adventure, but this time, they are trying to hatch their Kittysaurus egg. This takes time, hard work, determation, and the help of a momma Kittysaurus. Back in the past, they discover an enemy, some friends and an adventure. This story does end with a cliffhanger, and is more fa Clara and Zeke are back and as fun as ever. Best read after book one (Kittysaurus Rex), Tri-Pizza-Tops is another wonderful adventure that both children and adults will adore. We find Clara and Zeke as they continue their adventure, but this time, they are trying to hatch their Kittysaurus egg. This takes time, hard work, determation, and the help of a momma Kittysaurus. Back in the past, they discover an enemy, some friends and an adventure. This story does end with a cliffhanger, and is more fantasy and fiction, then fact, but still a fabulous story. Follow along with Clare and Zeke as they go back to the Zanyzoic era to figure out how to hatch a Kittysaurus egg. See how they discover many different species of dinosaurs. All this while trying to avoid Mr. Vulture. Can they figure it out? Can they find their way home? Your kids will love this cute and zany story! You might think that being a judge would be a satisfying job. And for years, the Honorable Judge Kludge would’ve agreed with you. He took enormous delight in his gavel pounding ability every time he dispensed justice. Moreover, he was very talented at furling his eyebrows. During trials, he loved to remain silent and communicate his will only through eyebrow movement. Outside the courtroom, he was You might think that being a judge would be a satisfying job. And for years, the Honorable Judge Kludge would’ve agreed with you. He took enormous delight in his gavel pounding ability every time he dispensed justice. Moreover, he was very talented at furling his eyebrows. During trials, he loved to remain silent and communicate his will only through eyebrow movement. Outside the courtroom, he was known to love festivities. After all, he was the judge who’d launched the Monday recess ‘Croquet Fiesta’ as well as the Thursday recess ‘Bowling Potluck’. But at a party celebrating his ten-thousandth trial, he felt unfulfilled. That day, the piñata full of gum balls, ordinarily his favorite treat, seemed like nothing more than a hollow, paper maché donkey full of candy. For every criminal he put behind bars, there were ten more criminals to take the last one’s place. He began to have what adults call a ‘mid-life’ crisis. Some people said that it was a very positive sign to have a mid-life crisis at the age of eighty, because that meant he would live to be one hundred and sixty. But Judge Kludge dreamed of leaving his mark. He wanted to accomplish something which would be of inestimable value for humanity. Thus, the Honorable Judge Kludge decided to step down from the bench and pen The Kittysaurus Series.